Elegantly Updated 3 Bedroom Bungalow!! Fully Finished Lower Level!! Elegantly Updated 3+1 Bedroom Bungalow!! Fully Finished Lower Level!! • 2 bath , 3 bdrm bungalow – FOR RENT 3700 CAD . Elegantly Updated 3 Bedroom Bungalow!! 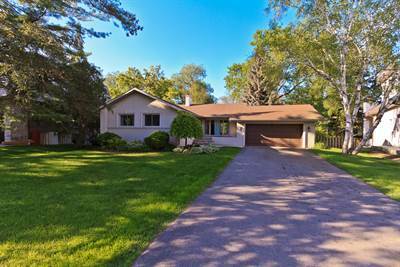 Elegantly Updated 3+1 Bedroom Bungalow Backing On To Private, Wooded Area!! Highly Desired “Coronation Park” In South Oakville. Modern Kitchen With Stainless Steel Appliances!! Gleaming Wide Strip Hardwood Floors!! Renovated 5 Piece Bathroom On Main Floor. Good Sized Principle Rooms. Fully Finished Lower Level. Excellent Schools Nearby: Appleby College, Blakelock, Ecole Pine Grove, St. Thomas Aquinas. All Appliances!! Electrical Light Fixtures!! Window Coverings!! Looking to Buy in Toronto or the GTA? – Our Team of Professionals are here to help. Have a Real Estate Question? No question too small — We help Home Buyers, Home Sellers and Investors / Landlords / Tenants. This entry was posted in GTA Rentals, Listings for Sale, Oakville Real Estate, Sutton Group Realty and tagged For Rent, Top Toronto Real Estate Office, Toronto by Sutton Realty. Bookmark the permalink.